Few experiences beat the thrill of driving a luxury or import vehicle. But as the luxury auto repair team at Kudos Import Auto Service & Performance in Saint Charles, MO, explains, failing to care for your car can lead to severe mechanical issues. Quite often, bad habits that may seem harmless at the time are the leading culprits behind damage. It can be tempting to test the power of your engine right after you turn on your car, but this is never a wise idea. Luxury auto repair professionals note that it is best to let your vehicle warm up for a couple of minutes after igniting the engine to avoid creating an abrupt temperature change. Over time, frequent cold revving can cause severe damage to several vital engine components. 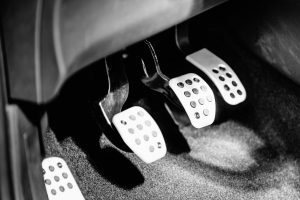 Do you keep your foot on the clutch pedal when stopped at a light? This bad habit may make it easier to speed off when the light changes, but it can also wear out the surfaces of these parts and damage the pressure plate and release bearing. The accumulated problems could ultimately cause your clutch to fail altogether. Rather than riding the brakes when driving down a steep slope, try shifting into a lower gear first. Overusing the brakes can cause the brake pads to wear out more quickly and puts the rotors at risk. From paintless dent repair to import brake service, the team at Kudos Import Auto Service & Performance will help your luxury vehicle look and perform its best. With over 10 years specializing in Audi®, Lamborghini, and other luxury brands, you can trust them to keep your vehicle in optimum condition. To learn more about their luxury auto repair services, visit them online or call (636) 448-7145.